An “interspousal transfer deed” transfers title (ownership) between a married couple. A gift given by one spouse to the other during the marriage is considered “separate” (owned separately), not “marital” (mutually-owned) property. This is important because through a deed, marital property can become separate property or vice versa, which is an important distinction in a divorce. An interspousal transfer deed can be useful when one spouse has poor credit, and the couple wants to refinance their home. To receive a better mortgage interest rate, the couple may decide to use an interspousal transfer deed to transfer title to their home to the spouse with better credit. A “quit claim deed” transfers whatever interest one spouse has in property to the other spouse. An important difference between an interspousal transfer deed and a quit claim deed is that a quit claim comes with no guarantees or promises about property ownership. Some examples of circumstances where a couple might use a quit claim deed are to transfer title to property as a result of divorce settlement, and when one spouse wants to give up interest in property. 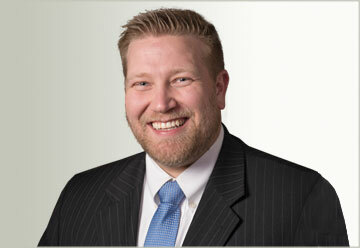 Interspousal transfer deeds can be used to avoid tax liability when transferring property. When title to property is transferred, the county may impose a transfer tax and may reassess the value of the property which could result in higher property taxes. However, an interspousal transfer deed is a special kind of transfer that is exempt from transfer taxes and ultimately a cost-effective method of transferring property between spouses. Quit claim deeds are very simple and use a form that is easy to find online or at office supply stores. However, with a quit claim deed one spouse may give up rights to certain property but not necessarily liability for any mortgage or lien on the property. A problem could arise if one spouse is awarded the marital home in a divorce and the other spouse uses a quit claim rather than interspousal transfer deed to transfer his or her interest. The spouse that gives up his or her interest to the house may still be responsible for one-half of the mortgage debt because their liability can’t be transferred through a Quit Claim Deed. 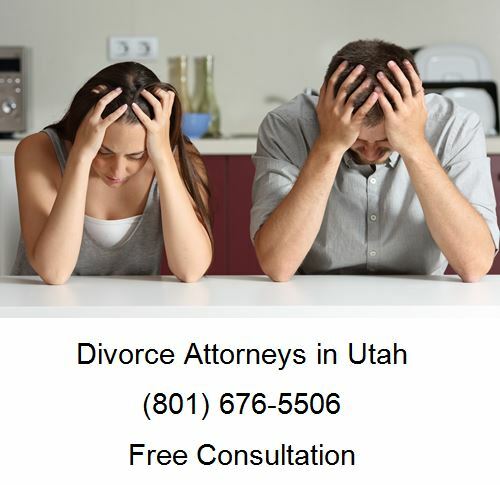 When you need help with real estate or a divorce matter, please call Ascent Law at (801) 676-5506. We will help you. 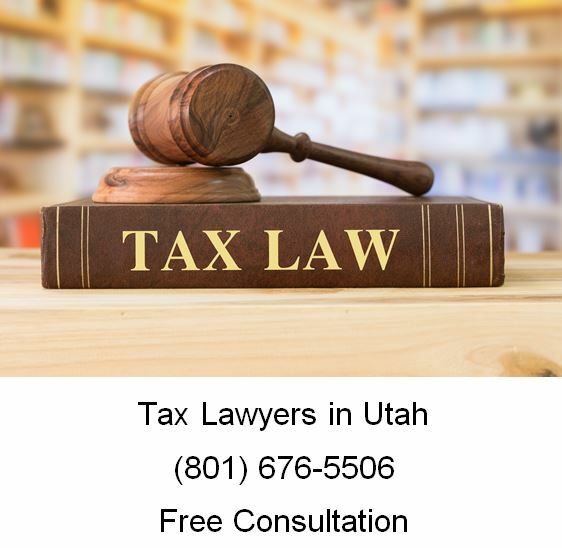 However, when you attempt to avoid the assessment or payment taxes owed by using illegal means, you may face criminal charges for Tax evasion. Common examples of tax evasion include: not declaring all your income, deliberately overstating expenses or deductions, or attempting to avoid detection by failing to file tax returns when you have taxable income. There’s a long list of potential penalties and consequences for tax evasion. Paying your taxes is a better deal than having any of the following happen to you. If you act with the purpose of avoiding or defeating any tax owed to the IRS, you could be fined up to $250,000. Even if you’re not formally charged with tax evasion, you will be assessed fines if you file your return more than 60 days after the due date. The failure-to-file penalty is 10 times more than the failure-to-pay penalty. So the IRS recommends that even if you can’t pay in full, you should file your tax return and pay as much as you can. The IRS is required by law to charge interest when you don’t pay on time. The interest accrues from the due date of your return (regardless of extensions) until you pay the amount you owe in full, including all interest and any penalty charges. Interest rates are variable and may change quarterly. A federal tax lien is a legal claim to your property. The tax lien arises automatically when you don’t pay in full the taxes you owe within 10 days after the IRS makes a tax assessment. It will then send a notice of taxes owed and demand for payment. The IRS may also file a Notice of Federal Tax Lien in the public records, which notifies your creditors that the IRS has a claim against all your property, including property acquired by you after the filing of the Notice of Federal Tax Lien. Once a lien arises, the IRS generally can’t release the lien until the tax, penalty, interest, and recording fees are paid in full or until the IRS can’t legally collect the tax. A levy is a legal seizure that takes your property (such as your house or car) or your rights to property (such as your income, bank account, retirement account or Social Security payments) to satisfy your tax debt. When property is seized (“levied”), it will be sold to help pay your tax debt. The filing of a Notice of Federal Tax Lien may appear on your credit report and may harm your credit rating. The Department of State will not issue or renew your passport if you’ve been certified by the IRS as having a seriously delinquent tax debt, and may revoke a passport previously issued to such individual. Tax evasion is a felony criminal offense. 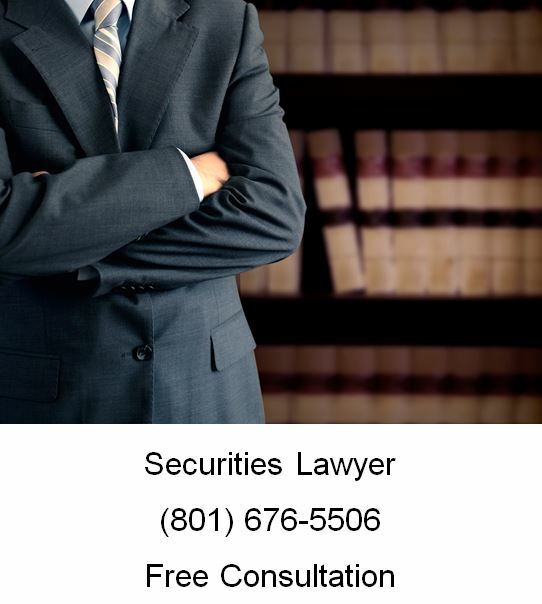 If you are charged with tax evasion, the United States Attorney’s Office will prosecute you in federal court. If you’re found guilty of tax evasion, you can go to federal prison for up to five years. If you owe the IRS, 15 percent of your Social Security benefits can be taken each month until the debt is paid in full. The government uses the Federal Payment Levy Program to garnish your payments. 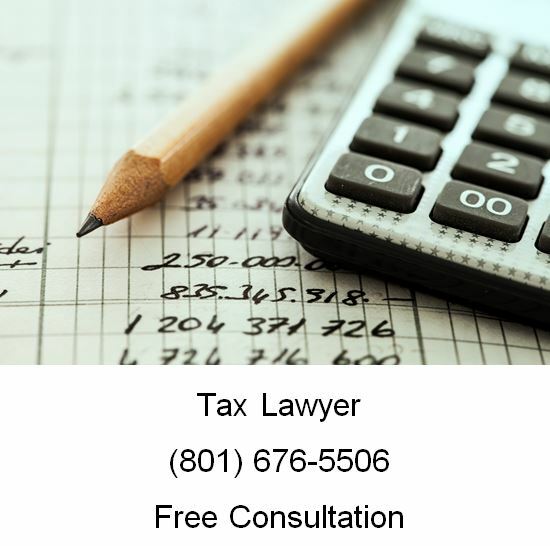 When you need legal help with a tax matter, please call Ascent Law for your free tax law consultation (801) 676-5506. We want to help you. Is a Business Liable for an Employee’s Actions? To protect yourself against a lawsuit by a former employee, consider having that employee sign a release from liability as he or she is departing. Include a clause where the employee grants you permission to provide information to any future prospective employers and promises not to sue you for providing such information. In return for the release, offer some sort of benefit. A court is much more likely to uphold an agreement where the employee got something substantial in return for giving up his or her rights. Finally, check with an attorney in your state, as each state requires specific language to be in a valid release. I just fired an employee, what do I tell the other employees? In most cases, it’s best not to tell other employees that you fired an employee, or the reasons behind the firing. Rather, tell other employees that you simply had to “let the employee go” or say that “so and so is no longer with the company” and don’t go into any detail. Consider making a brief statement to the other employees, in a neutral tone that lets existing employees know who will be taking over the departing employee’s duties. Avoid the temptation to gossip or speculate and don’t be spiteful towards the departing employee, no matter what they did. Gossiping or bad mouthing a former employee can land you in court for defamation, so play it safe and be professional. Should I be careful in giving an employment reference for a worker I had to fire? When you fire the employee, tell them up front that you won’t be able to be a positive reference for them. This alone can avoid potential problems, since most employees will get the hint and not use you as an employment reference. If you do end up serving as an employment reference for a former employee whom you fired, then the best practice is to keep your comments brief and factual. Telling a potential employer anything about the former employee that you can’t verify as factually accurate is grounds for a defamation lawsuit, so be very careful what you say. Do I legally have to give severance pay to employees when they leave? Generally, there is no legal requirement to offer severance pay unless you’ve led your employee to believe that they are entitled to receive some form of severance. Common ways this can happen are promises made during an initial interview, employment contracts, talking about offering severance in an employee handbook or simply offering severance pay routinely to other employees. If you do routinely offer severance to employees but don’t want to offer it for certain other employees, make sure you put it in writing, because offering severance in a routine fashion may create a legal basis for an employee to believe that he or she is also entitled to severance pay. Many employers do offer severance pay for long-time employees because severance pay can help a fired or laid off employee make the transition to a new job much easier. Severance packages also reduce feelings of anger among former employees which can lead to fewer lawsuits and can also serve to soothe any guilt from employers for having to let employees go. Are there any legal requirements about when I have to give employees their final paycheck? Most states have laws that require employers to send out final paychecks by a certain date after an employee has been terminated. This may mean that normal payroll processing time would be too slow, so make sure that people in payroll are aware it’s a final check that needs special attention and priority. Finally, in many states the time you have before the final paycheck is due is often based on how the employee was terminated, so check your state’s laws to find out how long you have. 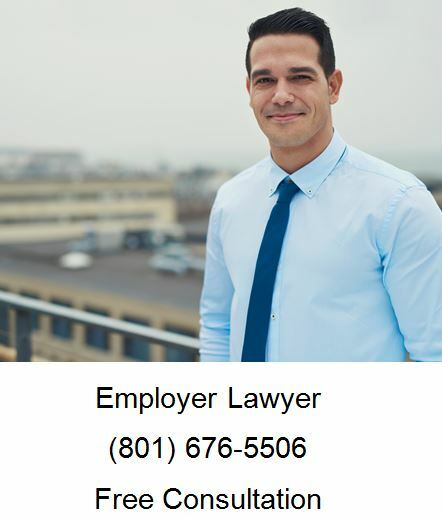 When you need legal help with an employment issue in your business, please call Ascent Law for your free consultation (801) 676-5506. We want to help you. Toxic mold problems in homes and commercial buildings have dramatically increased in recent years. Many of these problems result in legal claims. Experts and lawyers who handle mold-related claims give various reasons for this increase — including the increased emphasis on making buildings airtight; quick construction; faulty building techniques and materials; and increasingly complex building designs. While many people have heard of “black mold,” in fact there are a variety of strains that can cause ill health effects to residents and occupants in homes, businesses, and places of employment. If you feel that you have been exposed to toxic mold in your home or place of business, you may wish to contact an attorney or law firm specializing in mold- related claims, to talk about your situation and protect your legal rights. Following is an overview discussion of toxic mold. What Causes Toxic Mold in Homes and Buildings? Mold spores are everywhere in the natural environment. They enter homes and buildings through windows, open doors, pets, or attached to people. Once the spore is in the home or building it must have abundant moisture, a food source, and a certain temperature range in order to grow. Moisture infiltration is the main cause of building mold. Moisture may come from a wide variety of sources. Many modern homes and buildings are very airtight. This is great for efficiency, but not so great for allowing the structure to dry. For example, once moisture gets in through a pipe leak, faulty windows, roof leaks, or other sources, the water cannot evaporate. Mold is drawn to this moisture, and may grow on wet materials such as wood, insulation, ceiling tiles, and carpeting. There are a variety of warning signs that should lead a person to investigate a home or commercial building for potential mold infestation. The earlier an investigation takes place, the better the possibility that a home or building owner can reduce possible damages and adverse health effects caused by mold exposure. There are many types of mold that may occur in homes and office buildings — some sources say that there are over 100,000 different species. Some mold species are considered harmless, while others can cause potentially serious adverse health effects. Why is Mold Harmful to Humans? Certain molds produce volatile organic compounds (“VOCs”) or toxins as byproducts of their metabolism. VOCs generally evaporate at room temperature. In fact, when a person smells a “musty” odor, he or she is actually smelling the volatile organic compounds. Some VOCs produce adverse health effects in certain predisposed individuals. In contrast to VOCs, toxins do not evaporate easily, and some are considered very dangerous to humans. Regardless of whether a particular strain of mold produces VOCs or toxins, all molds should be considered potential health risks, and the presence of mold should lead to investigation, cleaning, and/or removal. 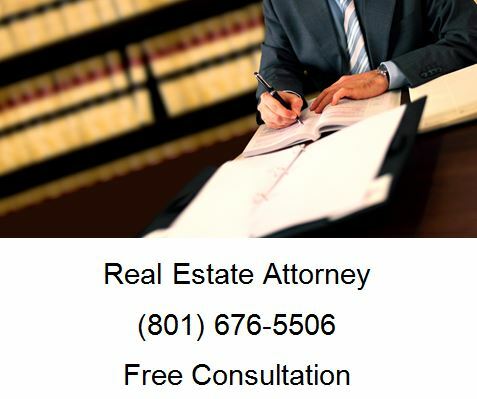 When you need legal help with real estate law, please call Ascent Law for your free consultation (801) 676-5506. We want to help you. It doesn’t make sense to enter into an agreement in every relationship that you may have. You would make quite the impression showing up to a first date with a pen and paper in hand. Rather, living together contracts are more appropriate for long-term relationships where a significant amount of money, property and debt are expected to accumulate. These agreements may also be a good idea for older couples, to ensure that property is distributed upon their death as they wish. Finally, couples who just don’t believe in the institution of marriage, for whatever reason, should strongly consider such an agreement. Even if you’re morally or philosophically opposed to marriage, it’s still smart to define the relationship’s rights, obligations and how property is to be distributed. Unmarried couples may enter into written and oral contracts that cover rights often associated with marriage (such as the rights to property acquired during the relationship). Unmarried couples may create “implied” nonmarital agreements, without ever writing it down or expressly speaking about it. 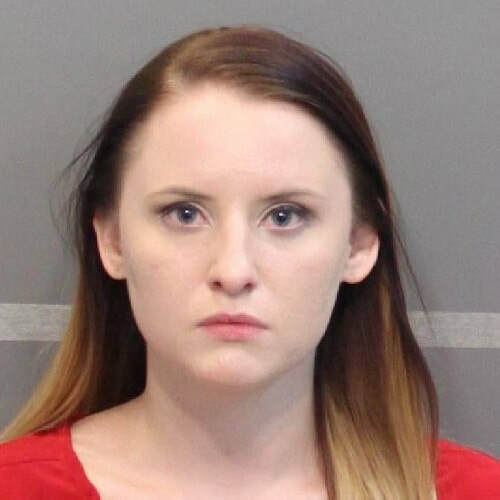 Rather, a court can evaluate the couple’s actions to determine if such an agreement has been implied in their relationship. If no implied agreement is found, a judge can presume that the parties intended to “deal fairly with each other”, and grant one party rights and obligations consistent with equity and fairness. Although most people don’t realize it, marriage is a legal contract between two people. It defines the rights and obligations that each party owes each other. It shouldn’t be surprising then, to learn that unmarried couples can create contracts between themselves that also define the rights and obligations that each partner owes the other. These contracts go by different names in different states but are often referred to as nonmarital agreements or living together contracts. These contracts function similarly to prenuptial agreements, and set forth how money, property and debt among other things will be handled during and even after the relationship. It may seem extremely unromantic to ask your partner to make a contract with you, but in the process it will tell you a lot about yourself, your partner and the maturity of your relationship. Property accumulated during the relationship: it’s important to define how property acquired during the relationship should be treated. For example, if one person buys something during the relationship, do both parties own 50% of it? Does whoever bought it own it? What if the item is purchased using personal savings? Property acquired by gift or inheritance: generally, people like to keep items received as gifts or by inheritance as separate property. If you and your partner want to do this, you need to write it down so there is no confusion. Property from before the relationship: many people like to keep items received before the relationship began as separate property. If you and your partner want to do this, you need to write it down so there is no confusion. Expenses: make sure you cover how expenses will be paid. This can be a huge area of disagreement, so it’s important to write down the expectations. For example, you might split them 50/50, make it proportional to income, or just pool your resources into one account and pay jointly. Separation or death: although you may not want to consider it, it’s important to define what happens when the relationship ends. It’s important not to leave the status of property and money in limbo if a couple splits up. Dispute resolution: in the case that a dispute arises, couples may want to define how it should be resolved. A typical example would include using mediation or arbitration before taking the matter to court. 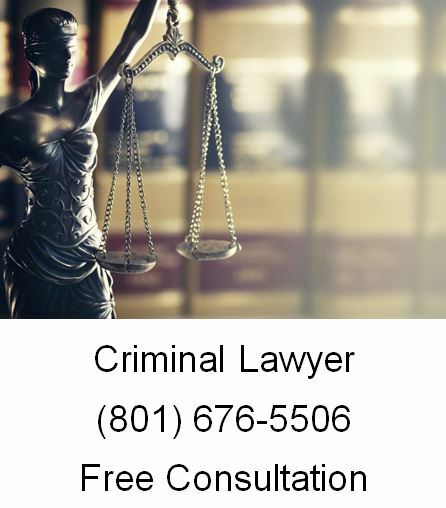 When you need legal help, please call Ascent Law for your free consultation (801) 676-5506. We want to help you. Any type of identity theft can turn your life upside down. It creates financial problems and can tarnish your credit history, not to mention the time, money, and patience it takes to resolve. Now fraudsters are targeting your tax refund! Tax-related identity theft occurs when someone uses your Social Security number (SSN) to file a tax return claiming a fraudulent refund. Thieves frequently file early to avoid detection, and make off with your refund before you’ve had a chance to file. The IRS reports that tax identity theft is on the rise. If you did not receive a notice but believe you’ve been the victim of identity theft, contact the IRS Identity Protection Specialized Unit. If the IRS receives a suspicious tax return filing, they may send a “5071C Letter” asking that you verify your identity. Typically, you can identify yourself over the phone or through the IRS’s Identity Verification Service website. Complaints from taxpayers help the FTC detect larger patterns of fraud and abuse. The FTC has a web-based reporting form that asks a few questions about the fraud you suffered. It should only take a moment to complete, and your participation will assist with the creation of programs to fight tax identity fraud. Although criminals typically target your federal return, you will want to also contact your state tax agency to the report income tax fraud. Call either the state’s tax hotline or go to their website and find the fraud reporting procudeures. Some states require you to fill out a form to mail. Call one of the nationwide credit reporting companies, such as Equifax, Experian or TransUnion. Ask for a fraud alert to be placed on your credit report. The company you call is required to contact the other two credit agencies so they will put the fraud alerts on their files too. An initial alert is good for 90 days. Taking this step makes it hard for someone to fraudulently open new accounts in your name. When someone has enough of your personal information to file a tax return, they may be able to access your bank accounts. Contact your bank and other financial institutions to have a fraud alert placed on your account. You need to get new credit cards issued, new debit cards issued, perhaps even close your checking and savings accounts and put them with another institution. Did you file your taxes only to have it rejected by the IRS because a return using your Social Security number was already accepted? Or, did the IRS send you a letter saying it identified a suspicious return using your personal information? These are signs that your tax identity may be in the hands of criminals. Other warning signs include (1) You owe additional taxes, refund offset, or have a collection action against you for a year you did not file a tax return. (2) The IRS indicates you received wages from an employer you can’t identify. (3) Your state or federal benefits were reduced or cancelled because a government agency received information reporting an income change. Land use and zoning involves the regulation of the use and development of real estate. The most common form of land-use regulation is zoning. Zoning regulations and restrictions are used by municipalities to control and direct the development of property within their borders. Since New York City adopted the first zoning ordinance in 1916, zoning regulations have been adopted by virtually every major urban area in the United States. They exist all over the State of Utah, including Davis, Salt Lake and Utah counties. In recent years, an increasing emphasis has been placed on regional and statewide planning. Recognizing that the actions of one municipality will strongly affect neighboring cities, occasionally in conflicting and contradictory ways, these planning initiatives allow the creation of a regional plan that offers one comprehensive vision and one set of regulations. Restrictive covenants are provisions in a deed limiting the use of the property and prohibiting certain uses. Restrictive covenants are typically used by land developers to establish minimum house sizes, setback lines, and aesthetic requirements thought to enhance the neighborhood. Easements are rights to use the property of another for particular purposes. Easements also are now used for public objectives, such as the preservation of open space and conservation. For example, an easement might preclude someone from building on a parcel of land, which leaves the property open and thereby preserves an open green space for the benefit of the public as a whole. The basic purpose and function of zoning is to divide a municipality into residential, commercial, and industrial districts (or zones), that are for the most part separate from one another, with the use of property within each district being reasonably uniform. Within these three main types of districts there generally will be additional restrictions that can be quite detailed — including some of the following areas (a) Specific requirements as to the type of buildings allowed; (b) Location of utility lines; (c) Restrictions on accessory buildings, building setbacks from the streets and other boundaries; (d) Size and height of buildings; and (e) number of rooms. These restrictions may also cover frontage of lots; minimum lot area; front, rear, and side yards; off-street parking; the number of buildings on a lot; and the number of dwelling units in a certain area. Regulations may restrict areas to single-family homes or to multi-family dwellings or townhouses. In areas of historic or cultural significance, zoning regulations may require that those features be preserved. Since land-use and zoning regulations restrict the rights of owners to use their property as they otherwise could (and often want to), they are at times controversial. Additionally, the scope and limits of governments’ ability to regulate land use is hard to define with specificity. Courts have held that a zoning regulation is permissible if it is reasonable and not arbitrary; if it bears a reasonable and substantial relation to the public health, safety, comfort, morals, and general welfare; and if the means employed are reasonably necessary for the accomplishment of its purpose. Given the subjective nature of these factors, there is obviously a lot of room for disagreement, and on occasion litigation. One extremely difficult question presented in this area of law is how far land-use regulations may go without running into the constitutional prohibition against taking private property for public use without just compensation. There are numerous other restrictions on the power of government to regulate land use, any of which may provide a basis upon which such regulations can be challenged. Zoning ordinances must be reasonable based on all factors involved, such as the need of the municipality; the purpose of the restriction; the location, size, and physical characteristics of the land; the character of the neighborhood; and its effect on the value of property involved. The rationale behind zoning is that it promotes the good of the entire community in accordance with a comprehensive plan. Spot zoning of individual parcels of property in a manner different from that of surrounding property, primarily for the private interests of the owner of the property so zoned, is subject to challenge unless there is a reasonable basis for distinguishing the parcel from surrounding parcels. Restrictions based solely on race or occupancy of property are not permitted, and a classification that discriminates against a racial or religious group can only be upheld if the state demonstrates an overwhelming interest that can be served no other way. In many jurisdictions, statutes have created boards of zoning appeals to handle these issues. These are quasi-judicial bodies that can conduct hearings with sworn testimony by witnesses and whose decisions are subject to court review. Given both the complexity of zoning law and the specialized nature of zoning appeals boards, an owner who contests a zoning requirement is ill advised to try to argue his or her case without legal assistance. 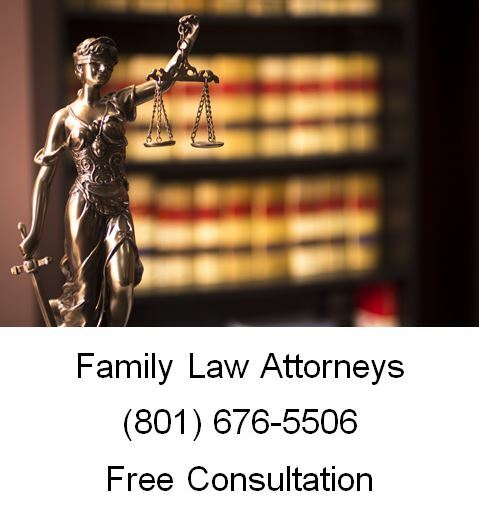 When you need legal help with zoning or land use in Utah, please call Ascent Law for your free consultation (801) 676-5506. We want to help you. The Securities and Exchange Commission has announced that a brokerage firm has agreed to pay a $100,000 penalty to settle charges of compliance and trading surveillance failures. Federal securities laws require firms to enforce policies and procedures to prevent the misuse of material, nonpublic information to which their employees routinely have access. The SEC’s order finds that Sidoti & Company LLC had no written policies or procedures in place from November 2014 to July 2015 as it pertained to those making investment decisions for an affiliated hedge fund that invested in issuers covered by Sidoti’s research department and some other issuers for which Sidoti provided investment banking services. For example, Sidoti maintained a “daily restricted list” of securities restricting personal trading because Sidoti was involved in investment banking or marketing activities or the firm was publishing research on the security. There were 126 instances from Nov. 3, 2014 to May 5, 2015 when the hedge fund traded in a stock that appeared on the daily restricted list. “Sidoti did not devote sufficient resources to set up the requisite trade surveillance and compliance systems and failed to meet its obligation to prevent the misuse of material nonpublic information,” said Andrew M. Calamari. Without admitting or denying the findings, Sidoti consented to the SEC’s order finding that the firm violated Section 15(g) of the Securities Exchange Act of 1934. The Securities and Exchange Commission today published a taxonomy on its website so that foreign private issuers that prepare their financial statements in accordance with International Financial Reporting Standards (IFRS) may submit those reports using XBRL. XBRL is a machine readable data format that allows investors and other data users to more easily access, analyze and compare financial information across reporting periods and across companies. Foreign private issuers that prepare their financial statements in accordance with IFRS as issued by the International Accounting Standards Board may begin immediately to submit their financial statements in XBRL. Otherwise, all such foreign private issuers must submit their financial statements in XBRL for fiscal periods ending on or after December 15, 2017. “Foreign private issuers will use the published IFRS Taxonomy for IFRS financial statements, which will enable the public to take advantage of enhanced data analysis of those financial statements, as they already can with financial statements of issuers that prepare their financial statements in accordance with U.S. accounting standards,” said Acting Chairman Michael Piwowar. In 2009, the Commission adopted requirements for structuring certain foreign private issuer financial statements in XBRL once an IFRS taxonomy was specified on the Commission’s website, SEC.gov. The Securities and Exchange Commission today voted to adopt rule and form amendments to make it easier for investors and other market participants to find and access exhibits in registration statements and periodic reports that were originally provided in previous filings. “As the SEC looks for new ways to modernize financial disclosures, one of the easiest things we can do is add hyperlinks that automatically direct users to additional information on our EDGAR system,” said SEC Acting Chairman Michael Piwowar. “We are so accustomed to clicking hyperlinks on basically every website we visit, this commonsense solution will make life simpler for a lot of people.” The final rules will take effect on September 1, 2017. • Registrants will be required to include a hyperlink to each exhibit identified in the exhibit index, unless the exhibit is filed in paper pursuant to a temporary or continuing hardship exemption under Rules 201 or 202 of Regulation S-T, or pursuant to Rule 311 of Regulation S-T. This requirement will apply to the forms for which exhibits are required under Item 601 of Regulation S-K as well as Forms F-10 and 20-F. The final rules, however, will exclude exhibits that are filed with Form ABS-EE and exhibits filed in the eXtensive Business Reporting language (XBRL). • Registrants will be required to file in HTML format the registration statements and reports subject to the exhibit filing requirements under Item 601 of Regulation S-K, as well as Forms F-10 and 20-F, because the text-based American Standard Code for Information Interchange (ASCII) format cannot support functional hyperlinks. While the affected registration statements and reports will be required to be filed in HTML, registrants may continue to file in ASCII any schedules or forms that are not subject to the exhibit filing requirements under Item 601, such as proxy statements, or other documents included with a filing, such as an exhibit. • Non-accelerated filers and smaller reporting companies that submit filings in ASCII will not have to comply with the final rules until September 1, 2018. • The compliance date for any Form 10-D filing that will require a hyperlink to an exhibit filed with Form ABS-EE will be delayed until SEC staff completes programming changes to EDGAR that will allow registrants to include the Form 10-D and Form ABS-EE in a single submission so that the required exhibit hyperlinks can be created at the time the Form 10-D is filed. The SEC will publish a notice in the Federal Register and on the SEC website announcing the compliance date for those Form 10-D filings. There are three types of patents: design patents, utility patents, and plant patents. Utility patents are available for processes, chemicals, and machines. Plant patents are for the invention and asexual reproduction (reproduced by means other than from seeds) of a new and distinct plant. Finally, a design patent protects the design or unique appearance of a manufactured object. This article will focus on design patents, and more specifically, the elements of a design patent application. It’s important to first understand what a design patent protects. A design is the “surface ornamentation” of an object, which can’t be separated from that object. The design can also be related to shape or configuration of an object. A design patent is available to those who invent a new and non-obvious ornamental design for an object. It’s important to understand that while the object and its design are inseparable, the design patent only protects the appearance of the object. Its functional or structural features will not be protected by a design patent. In order to receive patent protection, an inventor is required to file an application with the United States Patent and Trademark Office (USPTO). A person can file a provisional patent application in order to protect his or her invention while figuring out the specifics of the invention and thinking about whether or not to actually patent the invention. A non-provisional application starts the official examination process to determine if the particular invention is eligible for patent protection. Generally, a non-provisional patent application includes the description and claims of the invention, drawings (if necessary), a declaration or oath, and various fees. The information you will need to provide for a patent application will vary according to what type of patent you are seeking. When you are seeking to obtain a design patent, you will need to include the following: (1) A preamble that states the applicant’s name, a title for the design, and a brief description of the intended use and nature of the object that the design is a part of; (2) A cross-reference to any other applications related to the design patent application; (3) A feature description as well a description of the figure(s) of the drawing; (4) Photographs or drawings of the design; and (5) A declaration or oath by the inventor. You are only permitted to make a single claim within a design patent application, and you must make a statement regarding any federally sponsored research or development for the design. In addition to the application, you will also need to pay a filing, search, and examination fee to the USPTO. The most important aspect of a design patent application is the drawing (or photograph) of the design that the person is seeking patent protection for. Thus, it’s imperative that all drawings (or photographs) included with the application are of the highest quality and conform to all the rules and standards required by the USPTO.